The Siege of Jerusalem provides multiple pathways into the medieval literary landscape, even as it is rife with Christian-Jewish polemic and bigotry. Anti-Judaism, racism, and complex questions of religious identity can nonetheless become productive and pedagogically generative parts of cultural and literary history, particularly during the opening sessions of a course. The Siege of Jerusalem can push students beyond dichotomy and contrast to perceive the paradoxes, likenesses, and doublings built into many medieval works. 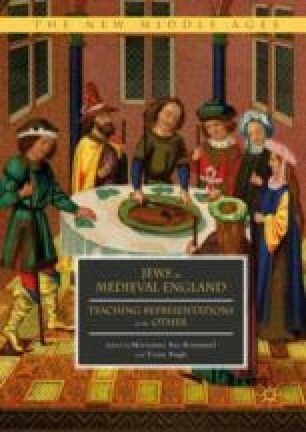 Starting with The Siege of Jerusalem attunes students to some of the most exciting forms, idiosyncrasies, and themes of the corpus, but opening with such a text also means that one cannot suppress what makes the medieval world most difficult and, arguably, most urgently connected to our modern world.